What’s the last thing you would want to fall on you as lie in a hospital bed recovering from an operation? 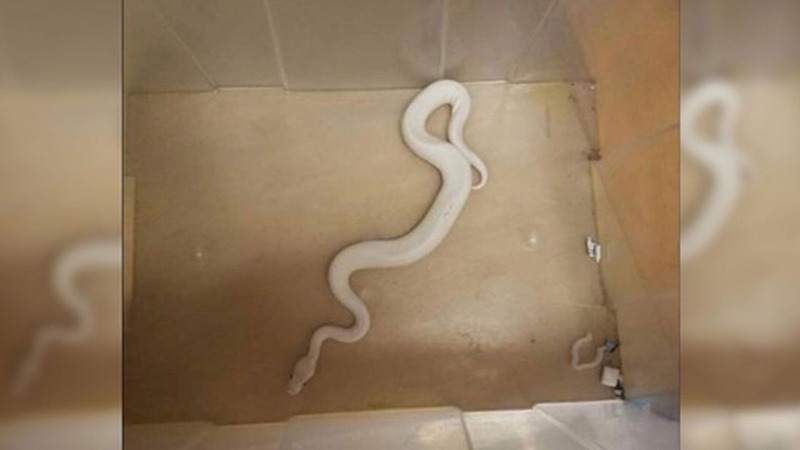 Well, this would definitely be near the top of the list – a live White Ball Python fell from the ceiling of Tacoma General Hospital in Washington, reports Mashable. Apparently the escaped serpent has spent an entire month slithering around the ventilation ducts of the hospital. According to KCPQ, a visitor brought the python to the hospital in a cat carrier full of stuffed animals – which really asks more questions than it answers. What is more, apparently the hospital workers didn’t think anything of it because, ‘strange things happen all the time’. It was only after the owner returned home, he realised his python had escaped and notified the hospital. Even though staff members were aware of the loose python, they couldn’t locate it until it fell from the ceiling a month later. Marce Edwards with MultiCare Health System told KCPQ that the owner picked up the snake and took it home after the incident. Fortunately ball python snakes aren’t venomous, and – the shock of a snake falling on you aside – neither staff nor patients were in any danger. It’s kind of crazy, actually…the fact is that I’d be kind of awed as to why they’d bring it in. As a pet owner I have a snake of my own, but I wouldn’t bring it to a hospital.